Although the German air force’s 8.8cm anti-aircraft guns were to prove highly capable weapons, both against aircraft and against armoured vehicles, it became clear in the early 1930s that larger-calibre weapons with a higher muzzle velocity would be needed for the engagement of the high-flying aircraft that were becoming feasible. In 1933 Krupp and Rheinmetall were each tasked with the construction of a pair of prototypes for competitive evaluation in 1935. Rheinmetall’s Gerät 38 was selected in 1936 and ordered as the 10.5cm Fliegerabwehrkanone 38. In basic concept this was an enlarged 8.8cm FlaK 18 with significant changes including the electrical control system and the loading mechanism subsequently adopted for the 8.8cm Flak 41, and the original FlaK 18/36 data-transmission system was replaced with that of the FlaK 37 during 1939, when a sectioned barrel was introduced to create the FlaK 39. 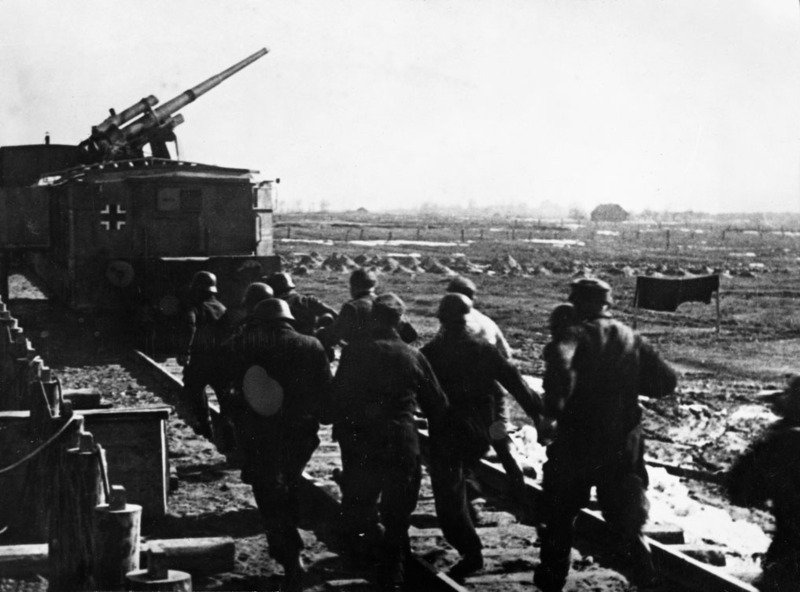 The FlaK 38 and 39 were manufactured in quantity, even though they were excelled in performance by the smaller 8.8cm FlaK 41. The gun was generally operated by a commander and nine men, which increased to 11 when manual loading was required. The “88” was an altogether superb weapon which was not rivalled by anything the Allies produced.